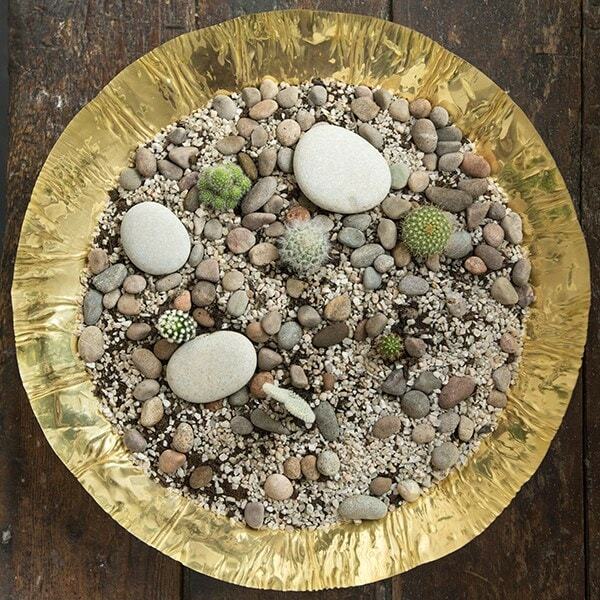 This versatile brass bowl is a blank canvas waiting for you to create your own indoor or outdoor masterpiece. 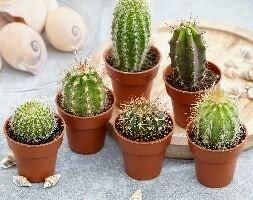 Just add inspiration. 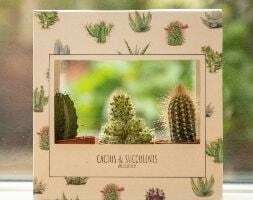 Fill it with fruit, fir cones or coiled string lights to make a striking centrepiece that looks fantastic on the festive table. 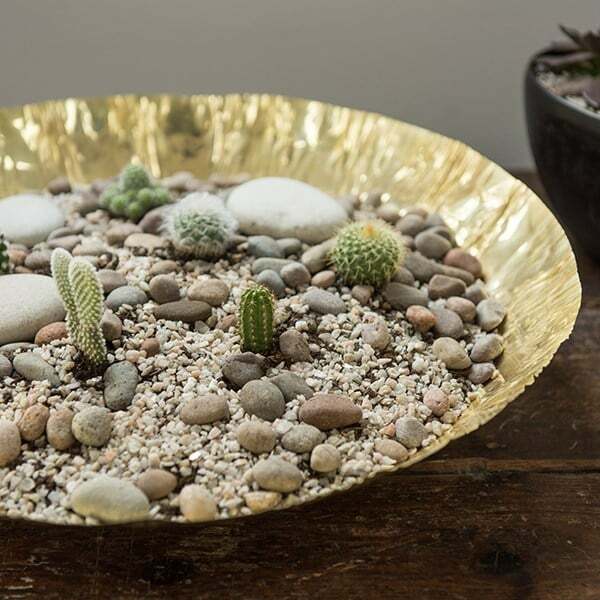 Or layer it with soil and polished pebbles and dot it with cacti to create a mini desert landscape - the gleaming sides providing the sunshine. 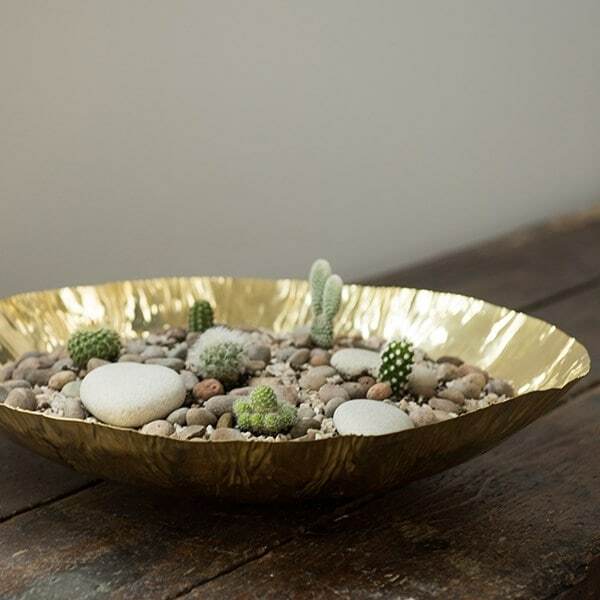 Made from fine, flexible natural polished brass with pleated detail. 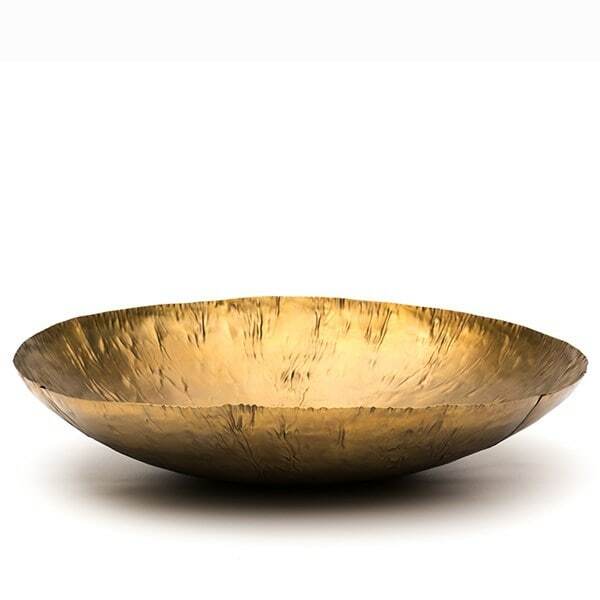 Over time, the bowl will tarnish to an attractive matt finish if kept outdoors.